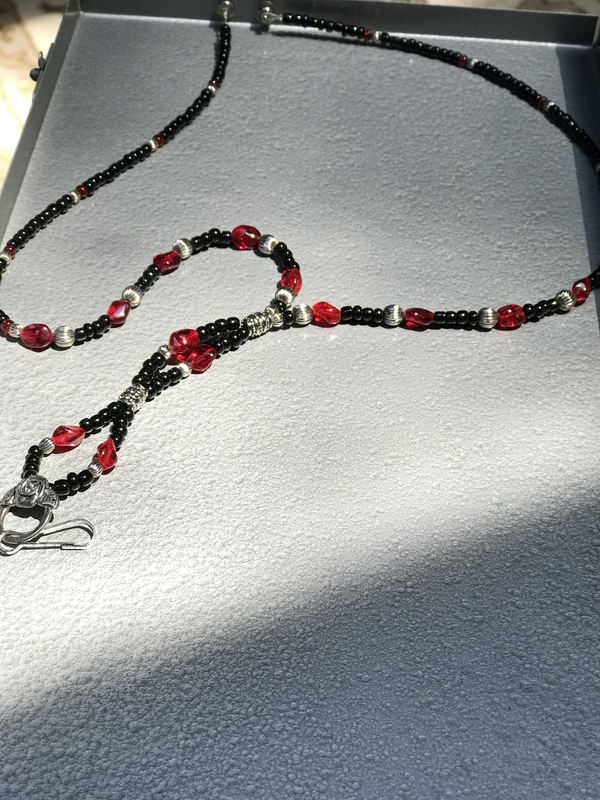 This beautiful red, black and silver beaded lanyard with rose accent holder will bring wearable art to your every day life. 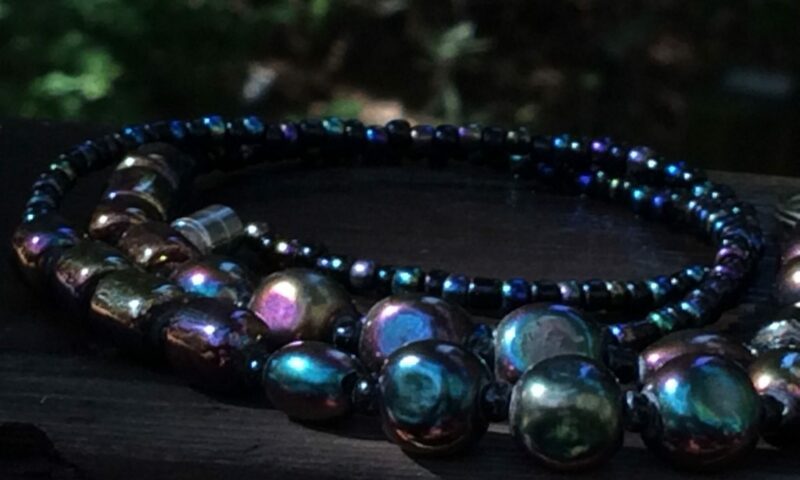 Magnetic breakaway clasp for your safety. 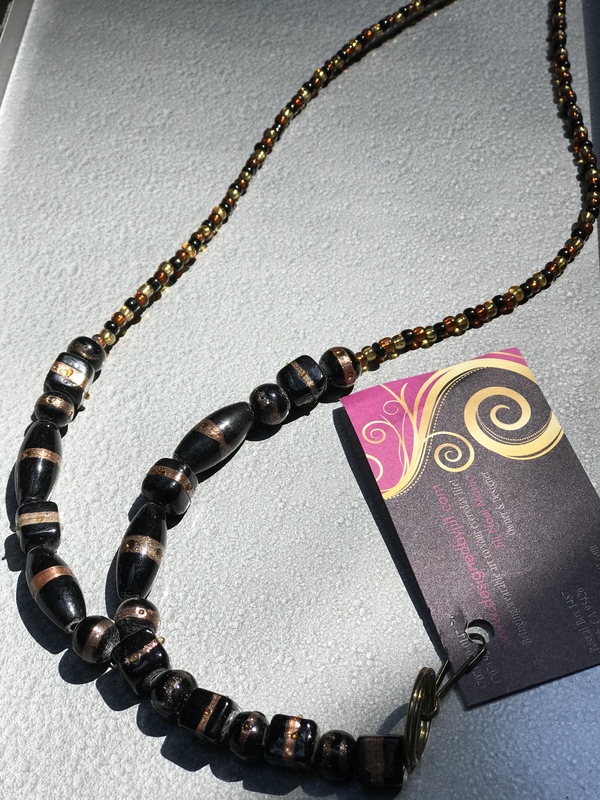 This black and gold hand painted beaded lanyard will bring wearable art to your everyday uniform or outfit for work. Magnetic breakaway clasp for your safety. 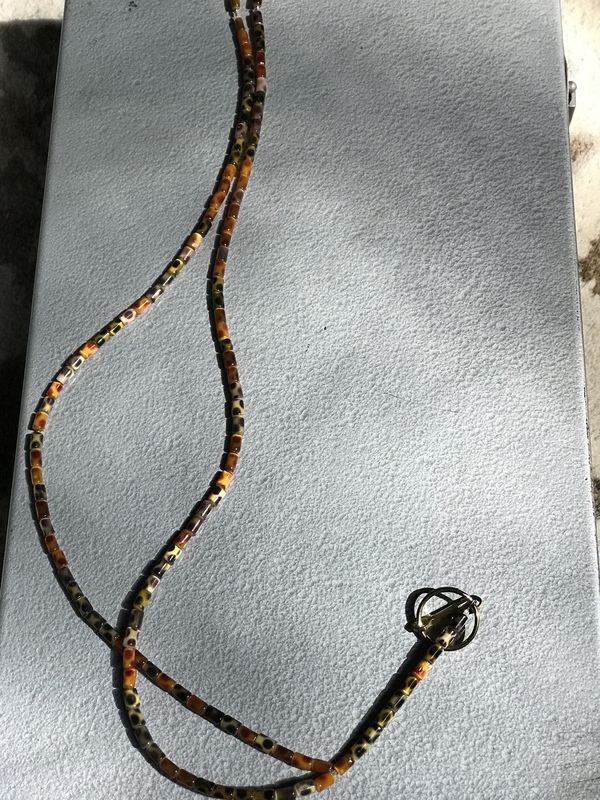 – SOLD – This quirky leopard spotted glass beaded lanyard will bring fun to your everyday uniform or outfit for work. Magnetic breakaway clasp for your safety. 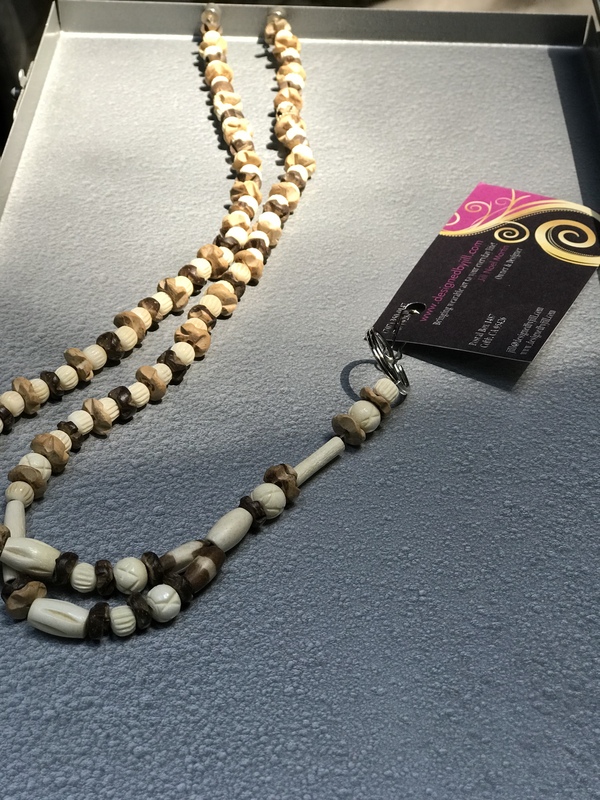 This beautiful beige shell and brown coconut beaded lanyard will bring a tropical vibe to your workday. Magnetic breakaway clasp for your safety. 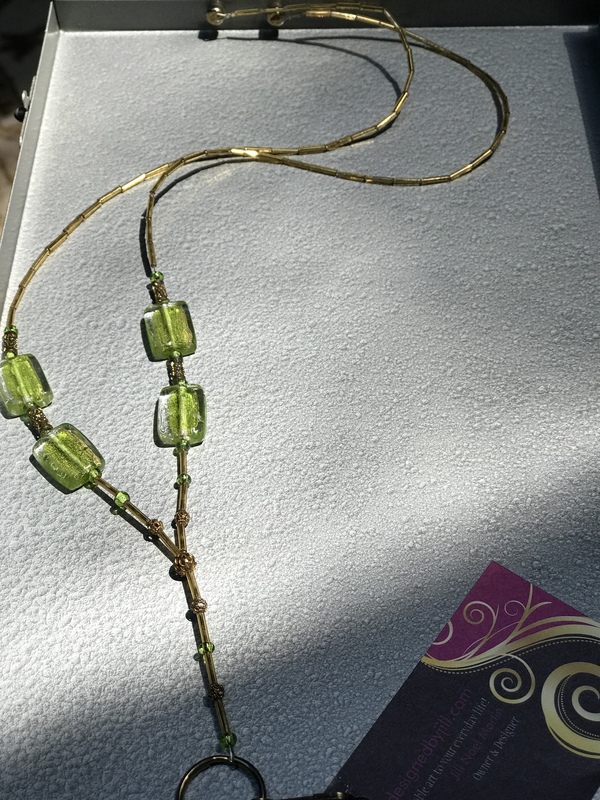 This Citrine and Gold Filagree beaded lanyard will bring sparkle to your everyday uniform or outfit for work. Magnetic breakaway clasp for your safety. 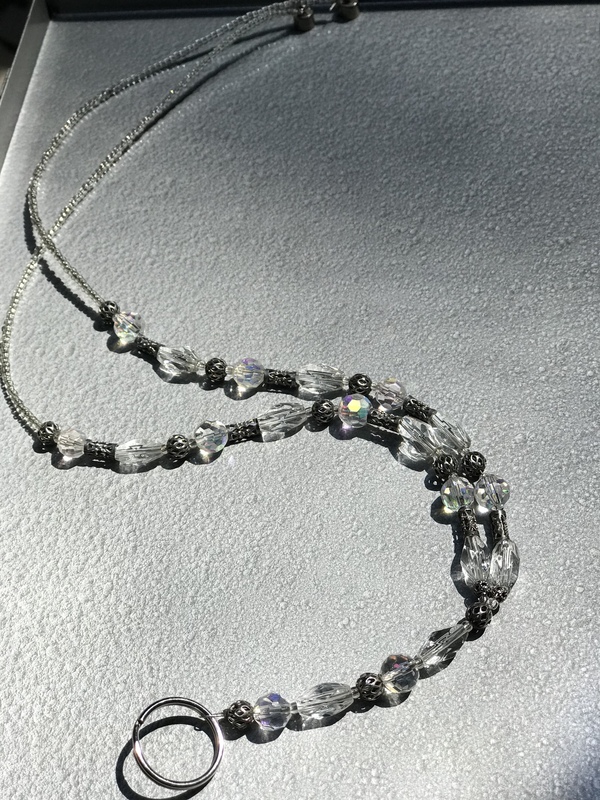 This vibrant crystal and silver filagree beaded lanyard will bring sparkle to your everyday uniform or outfit for work. Magnetic breakaway clasp for your safety. 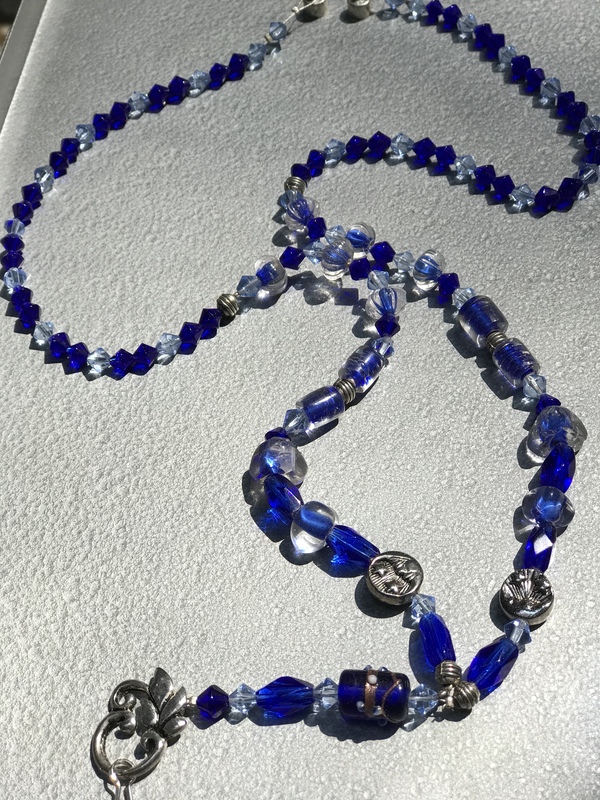 The beautiful light and dark blue faceted beads and silver sun and moon accent beaded lanyard will bring sparkle to your everyday work uniform. Magnetic breakaway clasp for your safety. 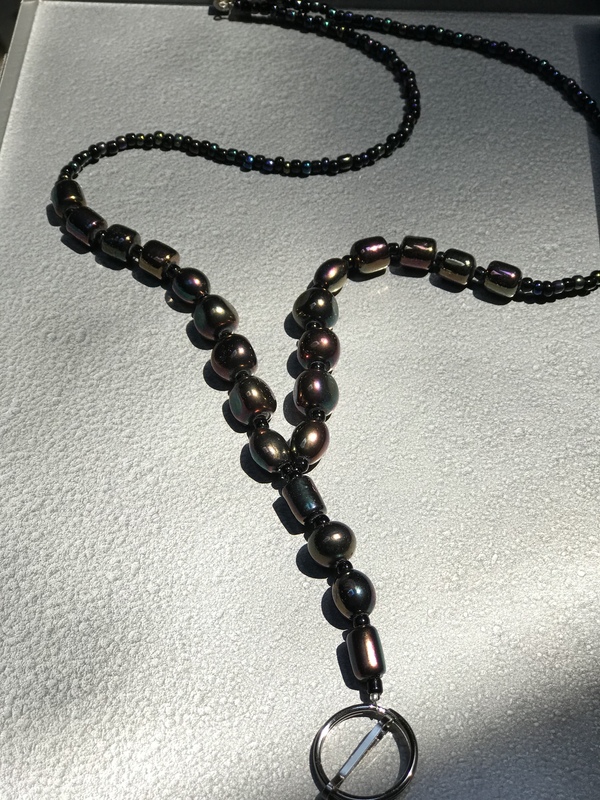 This beautiful volcanic glass beaded lanyard will bring wearable art to your every day life. Magnetic breakaway clasp for your safety. 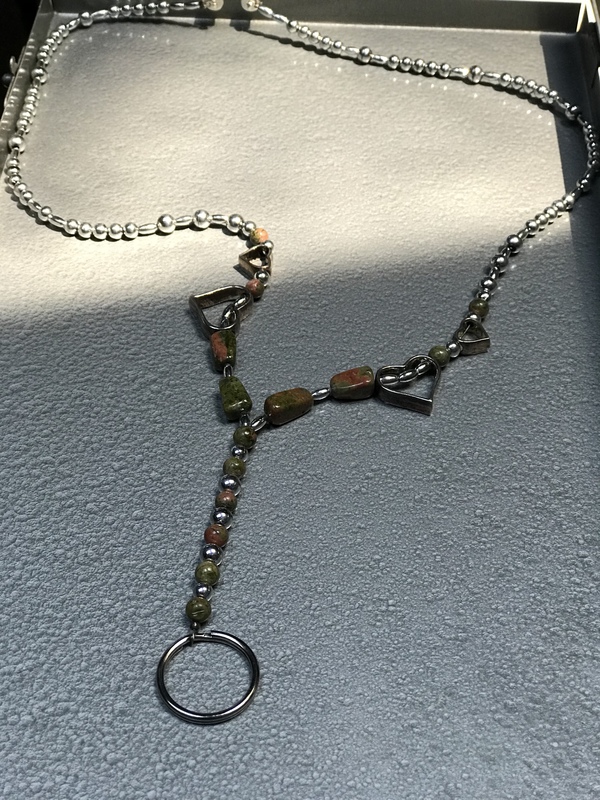 This Jasper precious stone and silver beaded lanyard will bring sparkle to your everyday uniform or outfit for work. Magnetic breakaway clasp for your safety.